That said, in my experience as a Denver Metro area real estate professional, I've also found that providing the very best service is essentially about putting my clients first. This means keeping myself accessible, being a good listener as well as a good communicator, and responding quickly to your needs. Sold a Single Family home in 2013 for approximately $600K in Evergreen, CO.
Steve has a great team and they made sure that every aspect of our sale was handled quickly and professionally. Steve's advice helped us sell our house quickly at the price we wanted. I would highly recommend Steve for representation buying or selling a home. I have bought and sold many homes, and decided to use Steve because he was highly recommended, by a friend. I've learned there is more to selling (or buying) a home than just listing it and bringing by potential buyers, and, as other Realtor's have done, make promises to you to get your listing. I needed guidance in several areas, as I used Steve not only in selling my home, but also in purchasing a new one. He is extremely knowledgeable in the real estate market; what needs to be done to get a home ready to sell; knowledgeable in how to price a home for maximum benefit to the seller and buyer; and then educated me in what was the best loan option to use for my new home. Steve was not just helpful, he was such a great resource for many, many things, and continued to support and help me even after the sale of my home. Steve, in my opinion, is a rare Realtor that actually advises you for what is in your best interest, not his. He doesn't play games by listing low and hoping for multiple bids; he prices the home as high as possible for your benefit, and also so the house will appraise, and sell, for that price - a win-win situation for both the seller & buyer. I would not only recommend Steve, but would not hesitate to use him again. 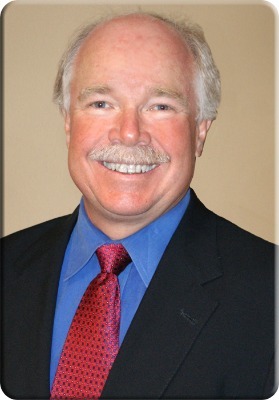 Steve Jacobson of Metro Brokers® has over 37 years of Denver Real Estate experience in the Denver Metro area. He has assisted buyers and sellers in over $450 Million dollars worth of personally assisted transactions. He has a long history of successful real estate sales in Denver. He works in a team environment, surrounded by quality individuals who strive for successful relationship transactions. Steve was with the top selling team in the Colorado Realty World Franchise, in the early – mid 80’s and was a high producing broker with a Re/Max franchise for 16+ years. In his time at a Re/Max office, he was awarded the Hall of Fame & Lifetime Achievement awards. After establishing MarketPlace Professionals with 4 other partners in 2001, Steve was recognized as one of the top selling brokers in the Denver Metro Area! He reached #4 in sales according to the MLS statistics in 2004. As the founder of the Steve Jacobson Group, Steve’s business is comprised of 1000’s of past clients, referrals, builder referrals and business generated from existing business. With his past experience in working with brokers from such companies as Coldwell Banker, Peak, Century 21, Keller Williams, Kentwood, Porch Light Realty and Fuller Towne and Country he has established a strong working relationship with many brokers and agents around the city. If you are looking to purchase your first home or list your tenth, Steve Jacobson has skill, knowledge and understanding in every aspect of your needs. With over 37 years of experience, Steve specializes in Real Estate in all areas of Arvada, Aurora, Broomfield, Castle Pines, Cherry Hills, Centennial, Denver, Englewood, Evergreen, Genesee, Golden, Greenwood Village, Highlands Ranch, Lakewood, Littleton, Lone Tree, Morrison, Northglenn, Parker, Thornton, Westminster and Wheat Ridge! He is working with New Construction Builders, Buyers, Sellers and Investors. He and his team use cutting edge technology and tools in all of our Real Estate Marketing!